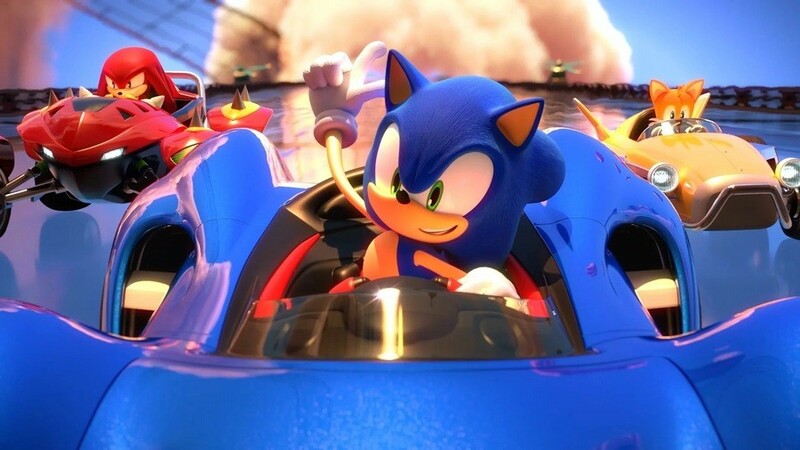 In case you somehow missed the news, last October, Sega revealed Team Sonic Racing had been delayed until 21st May 2019. Since then, it has been slowly drip-feeding racing enthusiasts more information about the upcoming multiplatform release. Customize your car any way you want it in Team Sonic Racing! Check out a look at the new parts, paint, and decal options, as well as some new footage from the game. Bingo Party returns with an amazing new remix in Team Sonic Racing! Talented chiptune artist TORIENA teamed up with Jun Senoue for an amazing new take inspired by the Sonic Heroes classic. Are you excited to customise your ride in Team Sonic Racing? Tell us below. That animation is utter brilliance, and likely better than the game itself will be. @Sprinklezz1225 Don't you mean SEGA? This game looks brilliant. Sonic Racing is a fantastic series. And every time I see this one, it looks better. That trailer above just makes the game look insanely awesome. I think we have a new Mario Kart 8 competitor ladies and gentlemen. I really want this to be good but the game just feels like a massive step down from the excellent Sonic & All-Stars Racing Transformed. I hope I'm wrong and they've got something amazing that we don't know about yet but so far, everything shown so far is feeling like "been there, done that". They need something like a robust track builder or some kind of expansive adventure mode like Diddy Kong Racing. Anything to set it apart from stuff like Mario Kart and CTR. Well it's only gonna be 40 dollars and not 60. So honestly I'm setting my expectations very low to avoid disappointment. I played a little bit of Sonic & All-Stars Racing Transformed on Wii U and really didn't like it very much so this one's probably a pass for me. Huh, Car Customization you say? Interesting. Therefore the ‘facts’ that you are stating make very little sense. This game is looking better and better each time I see it. I think I see a few similarities carried over from Sonic Racing Transformed. That is very good! The price ($40) is very reasonable for a new game. Rare day one buy for me. I hope they do not over complicate things. I appreciate the simplicity of how Sonic Racing Transformed handles the performance enhancements. Basically just pick Speed, Handling, Boost...... and the right character for the track, simple. Never quite understood the point of changing attributes that do not affect the game play. What do I care what color the car is or what the horn sounds like?? Music sounds great. Just what I would expect from SEGA. I actually quite like the customization shown here, especially when it comes to the cosmetic. So even if there is some cheesetastic OP combo, I can still make my car look different. Despite the weird hate this game seems to be getting. I actually think it's looking pretty decent. So as long as the maps are ok, and they have faster game modes (like MK cc tiers) then it seems like it would be worth my 40 bucks. Wow. The graphics for this game actually look pretty insane, and as long as the customization options are varied and make a difference I will love this game. My hype is ramping up! @Regpuppy I forgot that this game is premiering at 40 bucks! This is an easy buy for me in that case. @Sprinklezz1225 This game is coming to all systems, you don't need to buy it if you don't want it as everyone I know will be having fun with it except you. @hakjie11 True but Crash is a rerelease of an old title with nothing really new so I think this is still more interesting. I remember Alex saying the framerate in the early build was worse than bad so I have my fingers crossed that they ironed out all the wrinkles because I loved the other games. The actual racing still seems kind of slow to me. I hope this is just the equivalent of 50cc they're showing us. Looks great. I'm genuinely hyped for this game. Mario Kart X Forza X Wipeout. I remember this and F1 Race (All?) Stars just not feeling right. Would love a new series like X or underground, with the animation from this short though. Is the game targeting 60fps on Switch? @Fidget @mist - They uploaded that new trailer in 60fps. If you make sure to watch it in 60fps, it actually looks like genuine 60fps gameplay. But fingers crossed it remains that smooth on release. EDIT: Oops I misunderstood and thought you meant 60fps in general, not just on Switch. @Dpullam Yeah, I think both them, and Crash Team racing, want to come in at a competitive price point. On the Switch, it's an especially good move. 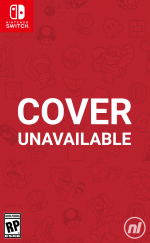 It'll help them carve out a niche next to MK8DX. I'm just hoping both TSR and CTR are as good as I think they'll be. It'll finally give me some kart racing alternatives when playing with my more casual friends and family. @Regpuppy Exactly! That is what I want too! It looks good but must run at 60FPS or it's a no from me dawg! @Sprinklezz1225 Young kid, or one Big Kid Troll. Every time I see this game, the tracks just seem so sparse. The frame rate better be much improved from Alex’s time with it. Racing games are about the only time I care about frame rate. At this point, Crash Team Racing looks more up my alley (you have NO idea how much it pains me to say that), because I know the original is considered a great kart racer. I don’t know what this’ll turn out to be like. I hope the gameplay has improved. It was a mess at EGX. It was nice to see some new footage for the game, and I loved the animation they released. I plan to play as Amy, so I might have fun customizing her car in a way that suits her character or something. Wasn't expecting customization to be a feature. This is looking more and more like Mario Kart 7 & 8 all the time,which is fine by me as I did not like those evolving tracks in transformed. @Sprinklezz1225 I doubt Nintendo made this. @Prizm Thanks... I love that playing these games makes you feel like your at an arcade centre with all the colours they put into their racing games and awesome sound effects. So fingers crossed on this one!